With a colorful history and a certain mystique bequeathed upon it, Turinabol is certainly one of the more fascinating steroids on the market today. Initially released in 1965 by the East German pharmaceutical company, Jenepharm, Turinabol was the end result of a successful attempt at separating the androgenic and anabolic qualities of oral AAS. At the time of its release, it was considered quite an achievement. In fact, along with its rapid rate of clearance, this was one of the characteristics which later prompted East Germany to utilize this steroid in its widespread and notorious doping program. 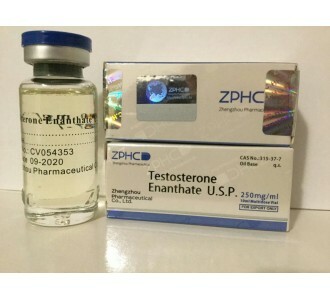 With its weak androgenic properties and moderate anabolic effect, it could be used by both female and male athletes without raising an immediate red flag; a benefit East Germany did not hesitate to take advantage of (although masculinization was undeniable in long-term female users). While this systematic doping program was in place, which lasted from 1968 to 1989, it was employed by some 10,000 athletes with great success. The competitive record of the East Germans during that time testifies to the drug’s effectiveness. By the 1980’s, this steroid was in widespread use among BB’rs and powerlifters throughout Europe and to a lesser degree, in America. After its discontinuation sourcing the drug became difficult and within a relatively short period of time, it disappeared from the market altogether. Like many other previously available steroids, it seemed as if Turinabol had gone the way of the dinosaurs. This all changed with the rise of the UGL, which slowly began to reintroduce the drug back into the market. In doing so, this generation was provided with an opportunity to experience what was once the most popular sports doping drug ever invented. Turinabol, also known as 4-chlorodehydromethyltestosterone, is technically an amalgamation of 4-chlorotestosterone and methandrostanolone (Dianabol). The drug is not capable of aromatization, nor does it exhibit any progestagenic side effects. Users should not expect dramatic gains in size or strength when using Turinabol. Rather, it provides a slow, quality build-up of lean muscle tissue. Its strength lies in its ability to induce moderate gains with minimal side effects. With an extremely low androgenic rating of 6, its impact in this area is almost non-existent. This makes it an excellent compound for women who wish to avoid masculinization. However, as with any steroid, the risk of side effects increases at higher dosages. 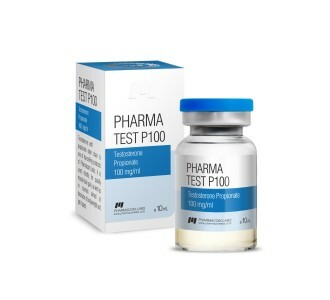 In terms of appearance, Oral Turinabol promotes a hard and dry look similar to cutting steroids such as Halotestin, Winstrol, and trenbolone, although the effect is not as dramatic. While its characteristics make it ideal as a cutter, it can also be effectively employed during the off-season when lean tissue accumulation is the goal. Unlike pure cutters such as Anavar and Winstrol, which typically add very little bodyweight, T-bol tends to straddle the middle ground as a mass-builder. Weight gains are generally slight, although more pronounced than the above mentioned orals. Like most other orals, T-bol has been methylated in order to protect the molecule from metabolic breakdown in the liver, thereby allowing it to enter the bloodstream intact. This process imparts a certain degree of hepatoxicity, although Turinabol is rather mild in this regard. As stated above, T-bol’s weak androgenic nature makes the user much less likely to experience androgenic side effects, such as hair loss, acne, hair growth, aggression, etc, but the positive aspects of this drug do not stop there. It also lacks the estrogen-induced side effects associated with aromatizable drugs, such as high blood pressure, mood swings, and fat gain. Aside from the cardiovascular side effects common to methyls, there just isn’t much to worry about with this steroid, making it one of the more pleasant oral AAS of the bunch to include in one’s cycle. Another, although less publicized benefit of Turinabol is its ability to lower systematic SHBG levels. SHBG is a protein found in the bloodstream which binds up to 98% of all circulating testosterone and many other AAS. Once bound, the steroid remains permanently attached to this protein, preventing it from being able to attach to the androgen receptor and stimulate muscle growth. Because of Turinabol’s high binding affinity for SHBG, it will preferentially bind to SHBG before other steroids. This allows a higher percentage of AAS to remain in an unbound state, where they are freely able to interact with the androgen receptor and exert their muscle building effects. In essence, T-bol sacrifices itself so that other, more powerful muscle builders are better able to do their job. T-bol is not the only steroid with a strong binding affinity to SHBG and other steroids do not bind to SHBG at all. In theory, as long as T-bol is paired with a stronger steroid which has a comparatively weaker binding affinity for SHBG, it should enhance the results of one’s cycle through SHBG modulation. There is no benefit imparted through this mechanism when T-bol is used alone, when it is used with steroids that do not bind to SHBG, or when it is used with weaker AAS that do bind to SHBG. Personally, when it comes to using AAS to modulate SHBG, I believe any positive effect on growth will be minimal. In my opinion, Turinabol is best used as intended and any benefits imparted through SHBG suppression are simply an added bonus. For men, typical dosages of T-bol range between 40-60 mg daily, while figure, fitness, and bikini competitors will probably want to stay within 5-15 mg daily. Doses for female BB’rs can vary tremendously depending on their willingness to accept side effects. With a half-life of 16 hours, T-bol is best administered twice daily in evenly divided dosages. When T-bol was first re-introduced to the market about a decade ago, it was fairly pricey, being sold for as much as $10 per 10 mg pill. This prevented many BB’rs from administering an effective dose for any reasonable period of time, so most chose to use other orals instead. Fortunately, the price of many raw materials has dropped significantly in recent years, leading to an increase in availability and dramatically reduced prices. I have seen UGL’s offering legitimate versions of T-bol for as little as $1 per 10 mg pill when purchased in bulk, making this hard to obtain steroid affordable to all. Oddly, even with lower prices and easy sourcing, it did not grow in popularity as much some thought it would. Some UGL’s have even dropped the steroid from their product list due to lack of demand. I believe this is primarily due to ineffective advertising and a lack of public awareness. If you find yourself repeatedly using the same orals over and over again and want to try something new, you might want to consider giving T-bol a shot.